As a former recipient of a Robert F. Kennedy Fellowship shortly after I graduated from law school, I find this video particularly powerful in these days of a very troubling election frenzy and seemingly questionable motives driving the acquisition of power not only here in the United States but around the world. Please take a moment and go back 50 years and revisit the words of Robert F. Kennedy. 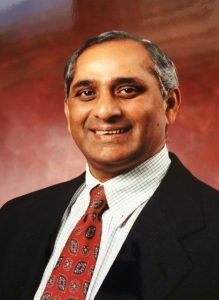 Bobba Venkatadri has been a member of TFI’s Board of Directors for the past three years, and brings a unique perspective to the table. Bobba grew up in the village of Unguturu, Andhra Pradesh, India. 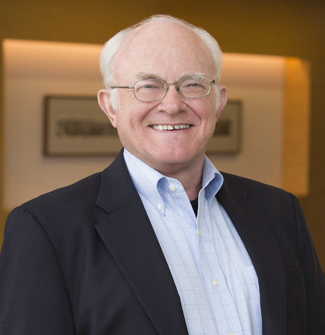 Bill Alderman has been a litigation and dispute resolution specialist at Orrick, Herrington & Sutcliffe, LLP since 1970. He donates a substantial amount of his time to pro-bono legal work, in addition to his long-standing commitment with TFI. The challenges faced by girls in developing nations are many. While we focus our work on the multiplicative effect of education, it is important to recognize that is not the only solution to difficulties girls face. Behind the Beautiful Forevers takes place in the Annawadi settlement near the Mumbai airport. The book beautifully stiches together the stories of the different inhabitants, the struggles they face specifically due to the nature of their livelihoods, the natural challenges of family, love, and life, and the corruption and lies of the local government systems. In much of our work, we talk about the need for examples: of good development, of good educators, of good philanthropists. Having good models help to encourage us to do better at what we do, as well as to lead others towards better work, better giving, or better sharing. All around the US, children are beginning to go back to school, with their new backpacks and freshly sharpened pencils. Teachers are welcoming their new students and introducing the goals of the year. Check out this short video on our President, Tom, and how he came to found TFI. We think you’ll love it! Look who is ‘Visionary of the Month’! If you read between the lines of Tom Nazario’s story, you may come away with profound life insights.